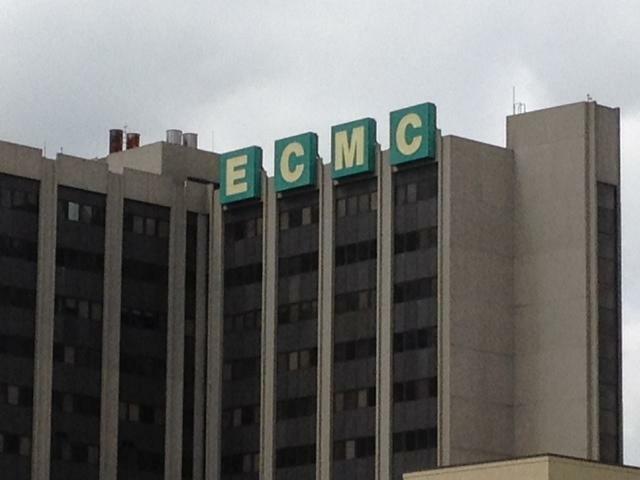 The New York State Comptroller's Office is giving ECMC a favorable review regarding problems found during a previous audit. New York State Comptroller Thomas DiNapoli says the agency that investigates mistreatment of disabled people in state care refused to hand over thousands of records needed to complete a state audit. The office of State Comptroller Thomas DiNapoli has completed a review of the 2017 budget being proposed for the City of Lockport. An audit by the State Comptroller's office is indicating that the state overpaid for health care premiums during the 2014 - 2015 fiscal year. Local Republicans gathered in Cheektowaga Saturday for a roundtable discussion on some of the issues facing New York State and the Buffalo area. Governor Cuomo has been making frequent trips to upstate cities this summer, touting his success in reviving the regions’ faltering economy. But a new report from the State Comptroller on job creation shows there is still some work to do. State Comptroller Tom DiNapoli says he has no interest in challenging Governor Andrew Cuomo in a primary in three years, saying he prefers to seek re election as state Comptroller. Do you have unclaimed money being held by the state? Someone has $1.7 million sitting in a dormant account that is now being held by New York State. In fact, the state has 31 million unclaimed accounts worth $13 billion. 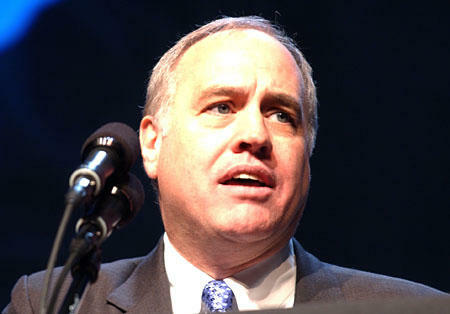 State Comptroller Thomas P. DiNapoli is urging people to visit www.osc.state.ny.us. Millions of people could end up with unexpected windfalls by simply typing in their names and some other identifying information. Of course, not every person with unclaimed funds will feel like a lottery winner. A new report card from the State Comptroller's Office lists three local school districts on shaky financial ground. The fallout could mean more layoffs in one of the region's top districts. To help close a large deficit, Lockport Mayor Anne McCaffrey says the city will end its ambulance service next month. State auditors blame poor record keeping for the city's financial problems. A recent audit has raised questions about unfinished business with the Department of Labor. 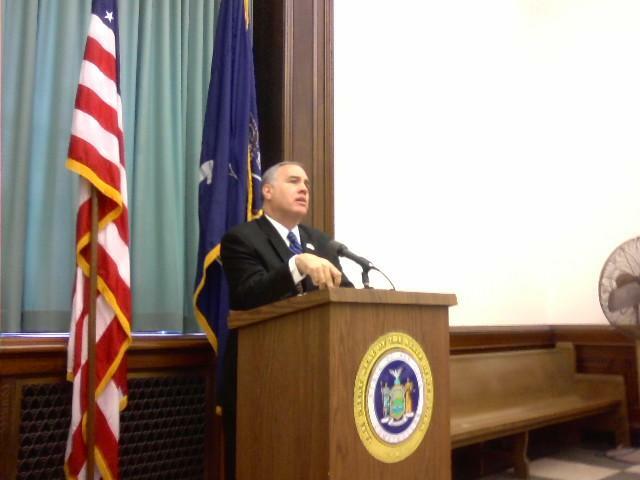 State Comptroller Thomas DiNapoli has released fiscal stress rankings for several upstate cities. 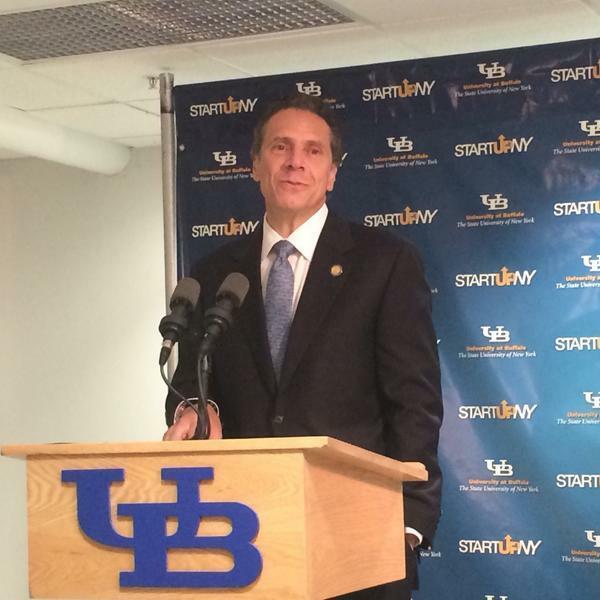 DiNapoli says Buffalo does not appear to be susceptible to stress at this point. The state’s comptroller says he won’t be participating in a new pilot public campaign finance program agreed to in the state budget, and government reform groups say, they don’t blame him. The state’s Comptroller says test public campaign finance plan that would apply only to his office is “seriously flawed”, and might even be unworkable. The state’s Comptroller is warning that a prolonged government shutdown could depress the state’s already struggling economy. 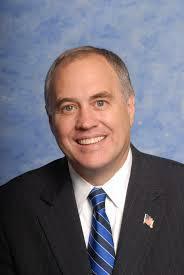 State Comptroller Thomas DiNapoli says his office may have money that belongs to you. DiNapoli says the state is holding $12-billion in unclaimed funds from various financial accounts. Profits on Wall Street are going to be up this year, according to a new report from the State Comptroller, but are still below their pre-recession highs. The report also finds fewer job losses in the securities industry, but still many economic uncertainties ahead. 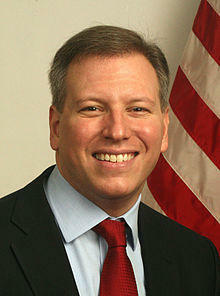 State Comptroller Tom DiNapoli projects that the New York City based securities industry will earn $15 billion in 2012. That’s nearly double last year’s profits, but still below the rates in the boom years before the 2008 market crash.